Gosh, I was not sure where to post this. I have looked at your beautiful patterns and honestly it is difficult for me to say what you should have more of…I would say everything. All of your work is amazing. If I could make a request it would be a for a rectangle shaped poncho which could be sized up for plus size. I saw someone in Seattle wearing a poncho that was rectangle the side were open and there was a slight collar that looked a bit like a cowl neck sweater. The whole thing looked like a lovely blanket that someone had added an opening for your head in the middle. With all the beautiful squares and circles you make, I think you could create a lovely piece. The truth is whatever you make will be lovely. Thank you for sharing so much talent and beauty with us all. I’m so pleased that I inspired you to take up Tunisian crochet. I will be releasing a pattern for the triangle cushion this year and also a kit. It probably won’t be until at least March though. I love your ribbon Christmas tree ornament. And copied the pattern. Is there anyway I can get a copy of the picture to add to the pattern. The pattern is to make for my own tree. However I have been collecting several crocheted ornament patterns for my tree and I don’t want to forget which one this is. I am 73 so forgetting is a real problem. Thank you. Hi Sophia, if you’re in Melbourne you could do one of my workshops which would give you everything you need to learn Tunisian crochet 🙂 Otherwise, to start off, all you need is a 6mm hook and some yarn and there are many good online tutorials and youtube videos available. Hi 😀 Our lack of good yarn choice here is so frustrating isn’t it! I buy most of my yarn from Little Woollie here in Aus and Wool Warehouse (in the UK but flat rate post is only $10 and usually gets here in a week. Hope this helps. Unable to get the link to work for the tunisian crochet washcloth posted on the Ravelry site. Is there any way that I could get the pattern emailed to me? Hi I’m sorry you’re having trouble with the link. 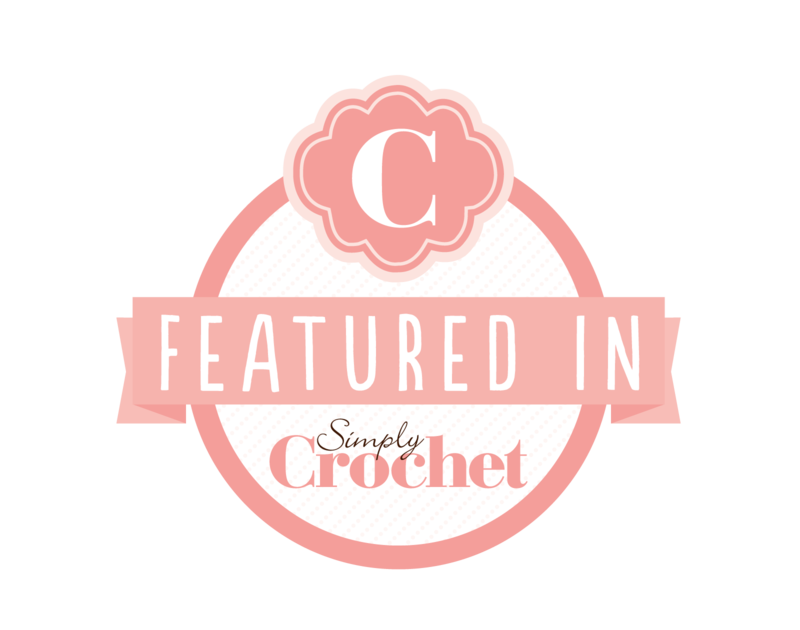 Unfortunately, I am unable to email the pattern but this link should work for you http://mypoppet.com.au/makes/2014/10/tunisian-crochet-washcloths.html. I’m in the process of writing up the pattern now. Hoping to have it out soon. I love ur tuscan feathers. But am having trouble with the pattern. Once u pull up all 11 loops on foundation row do u go through the loop to finish the stitch then start row 2. As well for row 2 I am confused about how can I have 11 loops on my book when I tts3 together? I really want to make these. Can u please get back to me. Pictures would be helpful. The pattern for Tunisian Feathers is made using the Tunisian crochet technique and assumes you already know how to do Tunisian Simple stitch. I have a tutorial here http://mypoppet.com.au/makes/2014/10/tunisian-crochet-washcloths.html. Once you are familiar with this method it will explain the first part of your question. As for the second part of your question – you are increasing 1 stitch (M1-tb) at the start and at the end of the row (increase x 2) but also decreasing by 2 stitches in the middle of the row with Tss3tog. Therefore you keep the same number of stitches on your hook. The increases and decreases are what create the shape of the feather. Is it possible to still get the pattern on the cover of your book. I purchased the book and it is amazing! My favorite is the cover project. I searched the book, but not a project. I just found your website and can’t wait to follow you. Thank you. I love your new book! I am working on the tassel pouch and I don’t see instructions on how you stitched up the bottom. Did I miss something? Thank you for your help! have been trying to print the pattern for your feathers and have about given up to get your free pattern, frustrated…. Hi! Thank you so much for your amazing patterns! I have recently taken up Tunisian crochet and just can’t get enough. I have so many little nieces and nephews- I love using your contemporary designs for gifts for them! 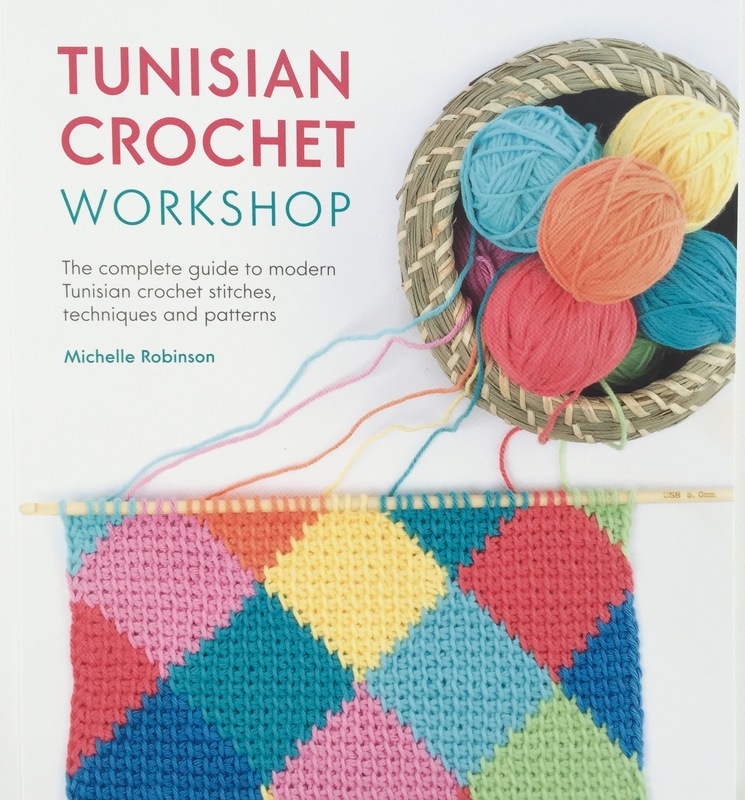 Just purchased your Tunisian Workshop book as well. I am wondering if you have any tips on how to block your patterns? Specifically granny squares? I’m beginning to make more Afghans and want them to look as “crisp” as possible. Thanks so much! Hi Nichole Thanks for your lovely comments and for purchasing my book. I have some tips in the book for blocking your work. My preferred method is to spray with water and pin onto foam boards, allowing them to dry. Hope this helps.